AshleyRose cottage situated in the beautiful Okiwi valley only 5 minutes drive to the whangapoua beach ...great surf spot ...swimming diving or picking pipi and cockles in the estuary below. Drive through our beautiful island and explore the natural beauty of white sandy beaches or walk the coastal or mountain tracks a soak in the natural thermal hot pools. Try some delish food at the local cafes burger bars restaurants sports clubs or even a game of golf and meet the locals. Glad you had a lovely stay...thankyou for leaving our batch beautiful and clean highly recommended. Beautiful setting with a very welcoming feel and everything we needed for our two week holiday! 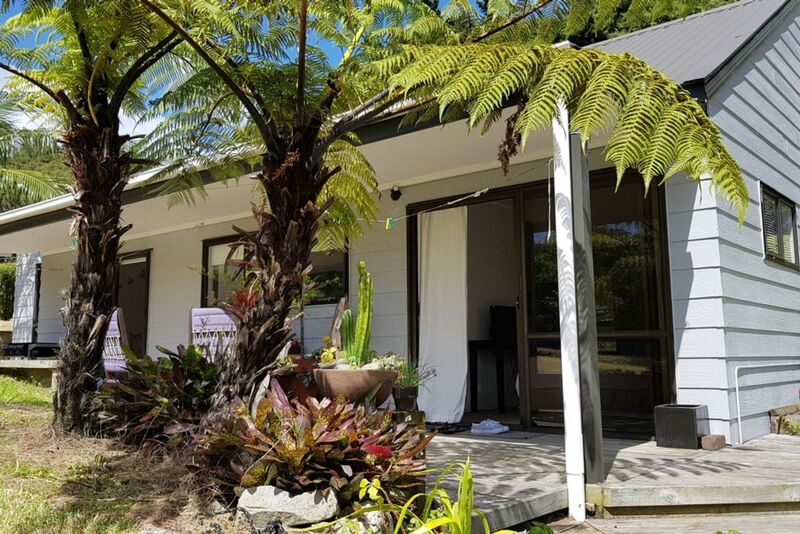 The property is well look after, extremely relaxing hearing the native birds each day, and beautifully furnished. Ngaire was extremely helpful and the property provided everything we needed for our two week holiday with our three kids. Absolutely Fantastic. Idyllic location. Perfect holiday home. This was amazing. Such a beautiful location. We loved Okiwi and had the best time. Locals were friendly and helpful. Great spot to getaway and enjoy the Barrier. We highly recommend this home as a base. Relaxing and comfortable. Clean and tidy providing all the necessities. Thank you so much. We hope to return. Beautiful place in a beautiful setting. Beautiful place in a beautiful setting. Warm, comfortable and well set up. Thank you so much for having us! Very comfortable, easy, open house, great gas cooker, carpet, comfy couches. Very comfortable, easy, open house, great gas cooker, carpet, comfy couches. Loved lack of coverage (on our network) for full time out, make sure you bring books and games. Okiwi Park a short walk away is beautiful and special. Thankyou for leaving our batch beautifully clean.